In the restaurant world, it can sometimes seem like Michelin stars are the be all and end all. 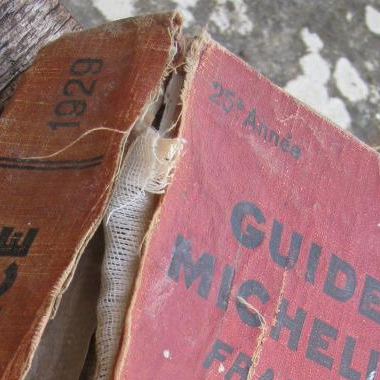 Indeed, the example of chef Bernard Loiseau, who committed suicide in 2003 amid speculation that his restaurant was about to lose its third star, is often cited to demonstrate the hold the Red Guide has on chefs. But some chefs see the patronage of Michelin as an unwelcome weight that prevents them, they feel, from innovating and one which raises customer expectations to unreasonable levels, where even the slightest imperfection is greeted with incredulity. The only problem is, you can’t technically return a star. “You can agree with it or you cannot, but you can’t give it back. That’s not an issue … kind of an urban myth,” said the Michelin Guide’s International Director Michael Ellis in an interview with Vanity Fair in 2015. Keygnaert came up against a brick wall trying to return hers: “It’s a very closed, absolutely not transparent institute. You can’t even ask them for an explanation. You have no right to an answer; they are untouchable,” she says, having written to Michelin and received no reply. Keygnaert is not the first chef to ‘return’ her stars of course. Marco Pierre White famously returned his three Michelin stars after becoming disillusioned with the Michelin world and the pressures associated with it, questioning why inspectors with inferior culinary knowledge to himself were judging him. In 2014, Julio Biosca of Casa Julio, close to Valencia, returned his star, describing the Michelin system as “burdensome,” while Skye Gyngell of London’s Petersham Nurseries Cafe famously described a Michelin star as a “curse” after falling foul of diners incensed about the restaurant’s shabby chic aesthetic, despite having been open for seven years before gaining its first star. She later closed the restaurant. And then there’s Frederick Dhooge of ’t Huis van Lede in East Flanders, Belgium, who gave back his star in 2014, arguing that he should be free to cook fried chicken if he wanted to and Le Lisita in Nimes, France, which decided to relinquish its star in favour of a more relaxed brassiere style. Chefs willing to speak out are in the minority of course, and for many, a star, then two, then three will still be the pinnacles of their careers, and can make the difference between survival and closure. Perhaps there are some rides that are just too difficult to get off once you’re on.